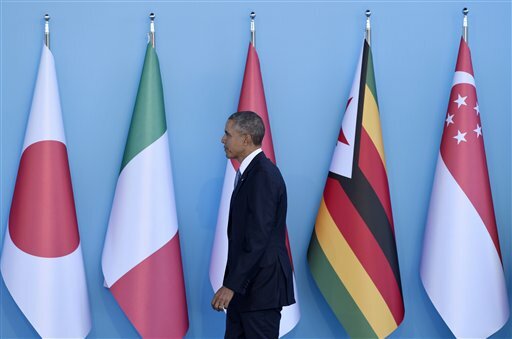 U.S President Barack Obama arrives for the official welcome to the G-20 Summit in Antalya, Turkey, Sunday, Nov. 15, 2015. Obama is attending the G-20 Summit while on a nine-day foreign trip that also includes stops in the Philippines and Malaysia for other global security and economic summits. While Congress took steps to pause the Syrian refugee program this week, there is another concern that many say poses a bigger threat of a allowing a potential terrorist into the U.S. It&apos;s known as the visa waiver program, and it allowed 20 million travelers into the U.S. last year, with much less screening than refugees receive. President Obama said recently that "the idea that somehow [refugees] pose a more significant threat than all the tourists that pour into the United States every single day just doesn&apos;t jibe with reality." It used to be that if you were a person living abroad and you wanted to see the U.S., you had to first go to an American embassy and get a visa. You would be interviewed by an embassy official who would ask about your background. But since the 1980s, residents of many countries no longer have to go thru that process. In fact, 38 nations, including most of Europe are visa waiver countries. It&apos;s a largely hassle-free way to come to the U.S. for tourists and business people. You&apos;ll need to answer a few questions on a form on the internet, and have a passport with a digital photograph. Some lawmakers, including Sen. Dianne Feinstein of California, say the process has gaps. She calls it "the soft underbelly" of America&apos;s national security. She and other lawmakers are worried about the thousands of Europeans who have gone to Syria to fight alongside ISIS. They return to France or Belgium, say, and with no screening could then easily hop on a flight to the U.S.
3. How can those gaps be closed? Feinstein is proposing legislation to tighten the visa waiver program and attempt to keep those foreign fighters out. The bill would require people who have traveled to Syria or Iraq in the past five years to go through an interview in order to get a U.S. visa. Of course, given the porous Syrian border it&apos;s not easy to say for sure who has traveled there. The Department of Homeland Security did tighten the program earlier this year, including requiring foreign travelers from waiver countries to carry passports with biometric data embedded on computer chips. 4. 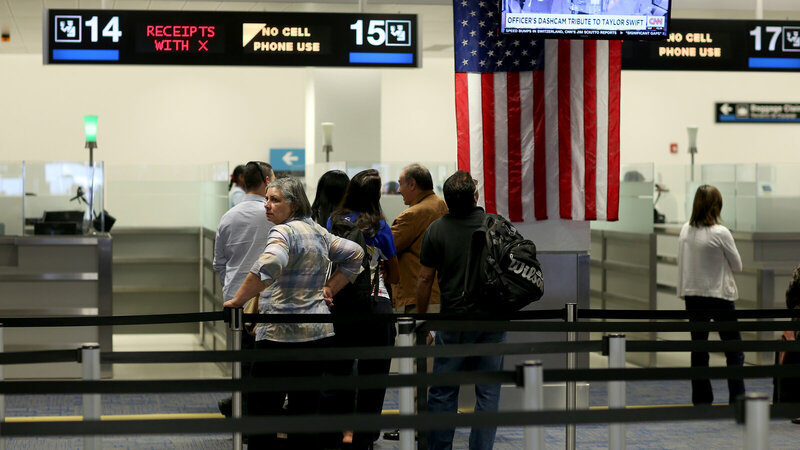 Would changing the visa waiver program make it more difficult for legitimate visitors coming to the U.S.? That&apos;s what concerns many, including the travel and tourism industry and some business groups. All those foreign visitors to the U.S. spend on average $4,700 per person per trip, according to the U.S. Travel Association. Roger Dow, the group&apos;s president and CEO, supports closing loopholes, but warns against making any major changes. The Obama administration says its open to amending the program. It&apos;s a delicate balance, said Frank Cilluffo, who runs the Center for Cyber and Homeland Security at George Washington University. "We want to be open to foreign travelers, we want to be open to foreign cultures, we want to be open for business. But the flip side is we&apos;ve got an acute security threat right now." Feinstein says she intends to introduce her legislation after Thanksgiving.